Crystal Clear: The clearness shows off the beauty of the iPhone and fits perfectly. Soft TPU: Better protection than Hard PC/PP for glass back. 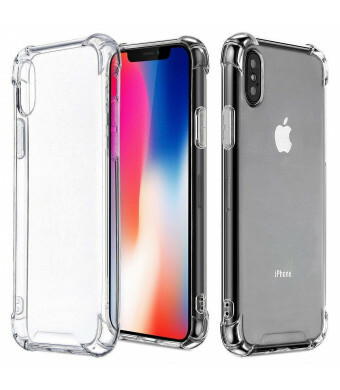 No Bubbles When Case on: The Micro Dot Pattern is a water stains free technology which is designed to prevent bubbles when putting the case on. 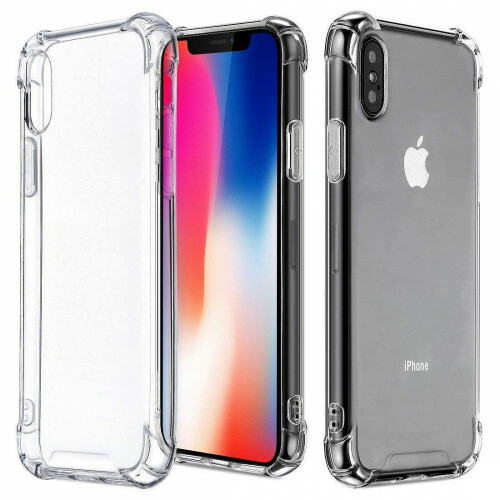 The TekSonic iPhone XBumper Cushion clear case shows the beauty of your phone while ensuring that your phone stays protected. A simple yet elegant design for those looking for a minimal look. Minimalistic DesignSimple and sleek design with a full transparent body enhances the natural elegance of your phone. Featured DesignMade of a premium TPU material with dot pattern and a scratch-resistant coating for reinforced shock-absorption and protection. Fits Like a GloveEasy access to all your much needed ports and buttons. Created with extreme precision for each cut out. The smooth edges are made to be comfortable for you, and every little push you make. You can push and click with no worries. Raised Protective BezelRaised edges keeps your phone screen and camera off flat surfaces and away from potential scratches or scrapes. Charge Your iPhone X wireless without taking off our case. Designed with premium soft TPU which you can install or remove it easily. The soft material offer you excellent grip and It isn't slippery like other gel cases. Soft TPU also provide better protection than Hard PC/PP for iPhoneX glass back. Not too thin to compromise the safety of your phone and not too thick to make it look bulky.